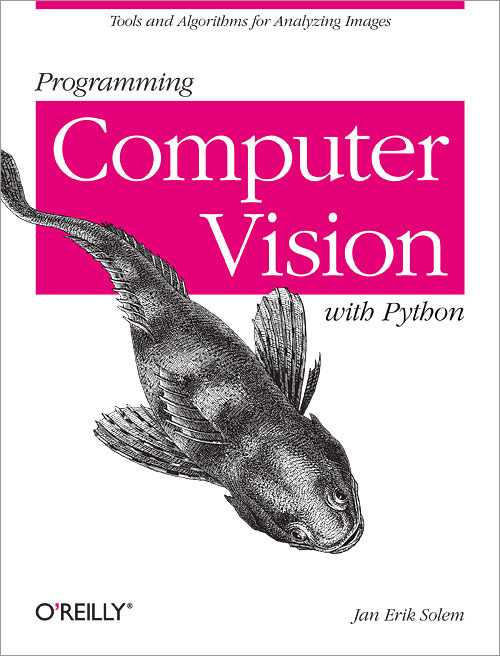 PCV is a pure Python library for computer vision based on the book "Programming Computer Vision with Python" by Jan Erik Solem. Available from Amazon and O'Reilly. The final pre-production draft of the book (as of March 18, 2012) is available under a Creative Commons license. Note that this version does not have the final copy edits and last minute fixes. If you like the book, consider supporting O'Reilly and me by purchasing the official version. The final draft pdf is here.